In 2008, Atlantech Online broadened its network, lighting commercial buildings in Crystal City, Virginia with fiber Internet connectivity. 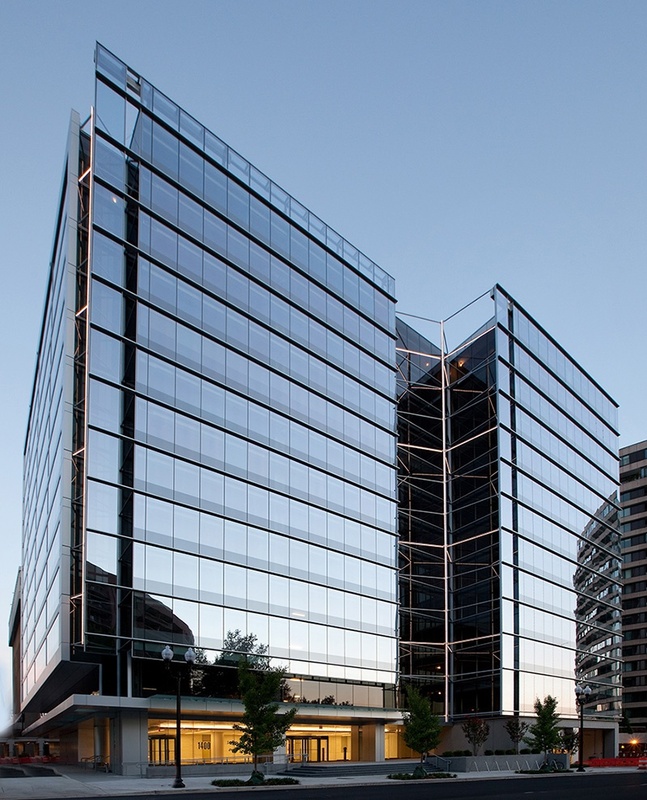 Now, our network continues to expand in Crystal City to include the commercial office building at 1400 Crystal Drive. Lowe Enterprises developed 1400 Crystal Drive as a Class-A office building providing over 300,000 square feet of office space. This LEED Gold Certified building is absolutely first class, with state-of-the-art mechanical and electrical systems, elevators, and lobbies. The building's glass facade makes it a futuristic thing of beauty, and the views from the penthouse terrace, of the Washington, D.C. skyline and the Potomac River, are breathtaking. Tenants enjoy the penthouse terrace, on-site fitness center. Surrounding the building are more than 100 restaurants, and 4,500 hotel rooms, as well as numerous retail stores, offer a vibrant environment. Commuting is convenient as well, as the building sites two blocks from both the Yellow and Blue Line Metro Stop, and the VRE Station. The building is located in the heart of Crystal City, only minutes from the Pentagon, Pentagon City, downtown Washington, Capitol Hill, and the Reagan National Airport. Atlantech Online's Business-Wide Internet Service (BWIS) means tenants can get high-speed fiber Internet access directly into their office. With 10-to-1000 Mbps connections (more bandwidth available for custom installs), business tenants can enjoy enough bandwidth to run data-heavy processes. The new fiber installation means tenants can also adopt Atlantech's UCaaS solutions, and flat-rate, cloud-based business phone service delivered through our ironclad fiber network. Atlantech phone service is built on our own, private fiber network, which means superior voice quality, extremely low latency, and much more stability than Bring-Your-Own-Broadband (BYOB) VoIP services. The famous quote about the value of real estate is, "location, location, location." Having an office in a fiber lit building gives business a prime location on the information super-highway. 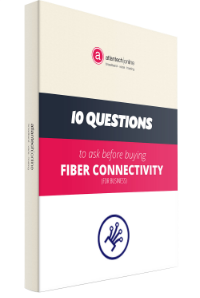 Ed Fineran, President of Atlantech Online points out that, "Being located on a fiber artery gives the building a huge competitive advantage, and provides tremendous value to the tenants." All tenants of 1400 Crystal Drive are now invited to save money and get faster Internet speeds and more bandwidth by signing up with Atlantech Online. You can get a great deal on fiber Internet and business-class phone service by getting a quick quote here. There are a lot of benefits of becoming an Atlantech customer, and the quality of customer service is a big one. 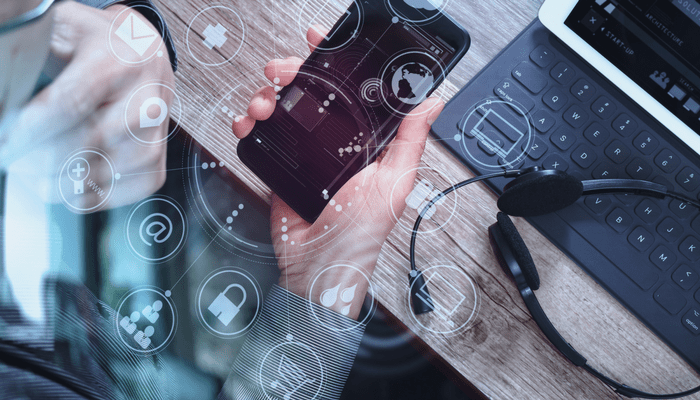 We can become your one-stop solution for phone, data and Internet service, giving you a single-source provider that is invested in your companies success. Not at 1400 Crystal Drive? Click here to check if Fiber is available in your building. Atlantech Online, Inc. is a business-to-business Telephone and Internet Service Provider headquartered in Silver Spring, MD. The company provides high-speed Internet connectivity services, MPLS and other data networking services, telephone service (SIP Trunking, Hosted PBX, UCaaS, PRI, Analog, and Shoretel), and hosting in its wholly owned and operated data centers, specializing in server colocation. Atlantech’s multi-terabit per second fiber backbone has the scale to support a wide variety of telecommunications solutions as its customers’ networks evolve. Information about Atlantech Online, Inc. can be found at www.atlantech.net or by contacting the company directly at 800-256-1612.